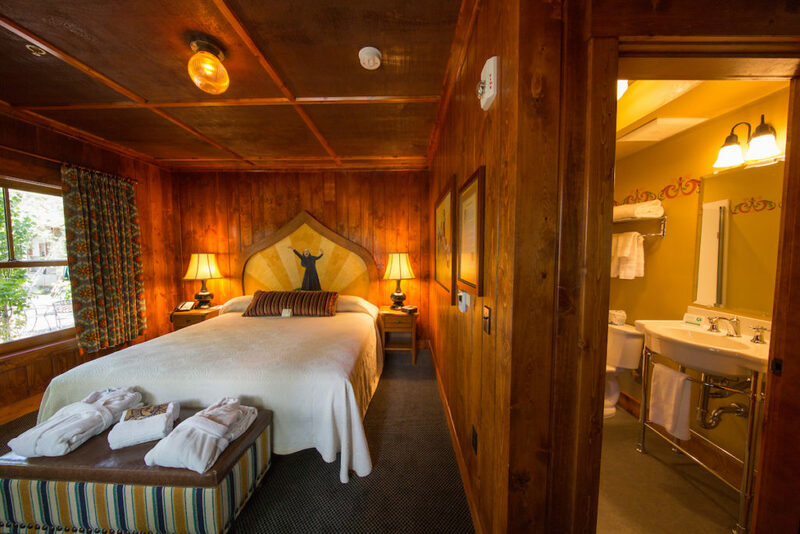 The history of Old Mill is the history of Bend. 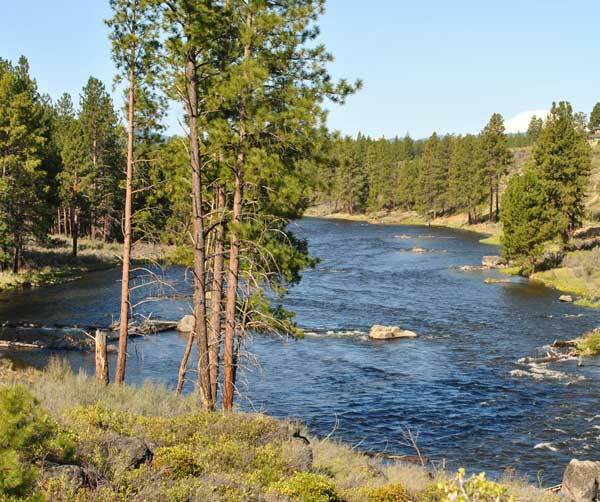 The city was originally a logging town, and the “bend” in the river helped them trap the logs coming down the river from other places. The Old Mill used to encompass two lumber mills, one which is now an REI. 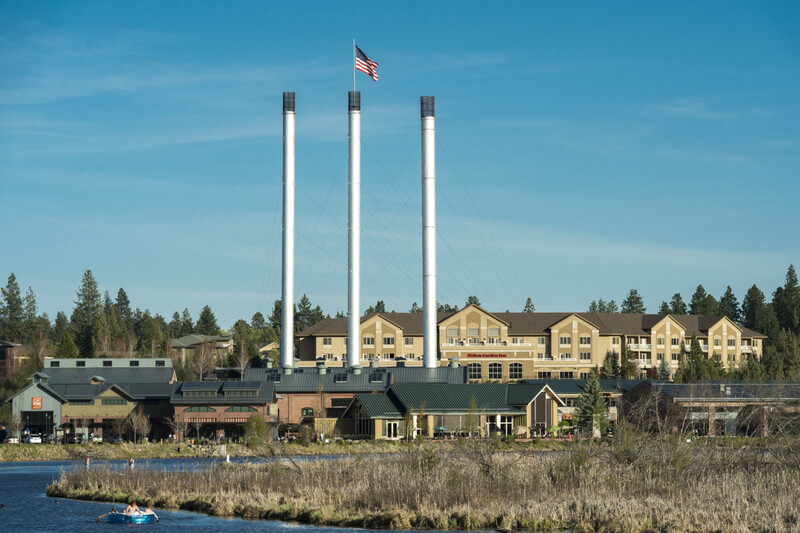 The smokestacks have become one of the most iconic images of the city of Bend itself. The Old Mill has been turned into an outdoor shopping area with a number of restaurants right on the river. During the summer, you can watch people float, kayak, or canoe the river and enjoy the beautiful view. Just across the river sits the Les Schwab Amphitheatre, which hosts larger concerts that come to town. So if you are at Old Mill during a concert night, you can usually hear (and sometimes see) the music from across the river. 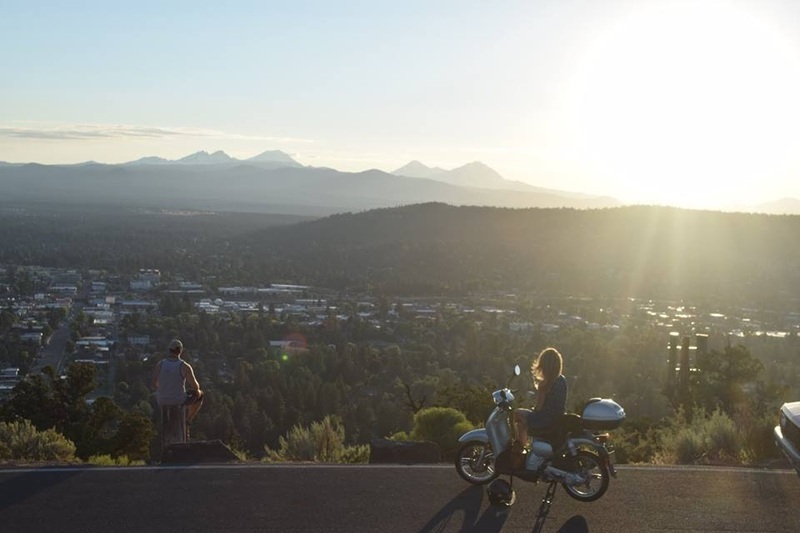 Pilot Butte is a must-see whether you are a first-time or regular visitor to Bend. 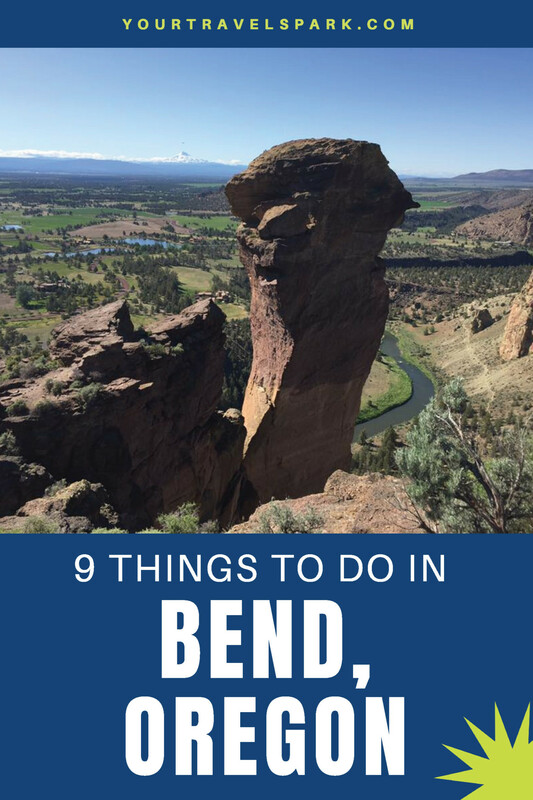 The butte rises up in the middle of the city of Bend, but that’s not why you must see it. It’s because it offers one of the best views of the city, as well as the entire surrounding area. Pilot Butte was formed from an extinct volcano, and it makes Bend one of only four cities in the United States with a volcano within city limits. 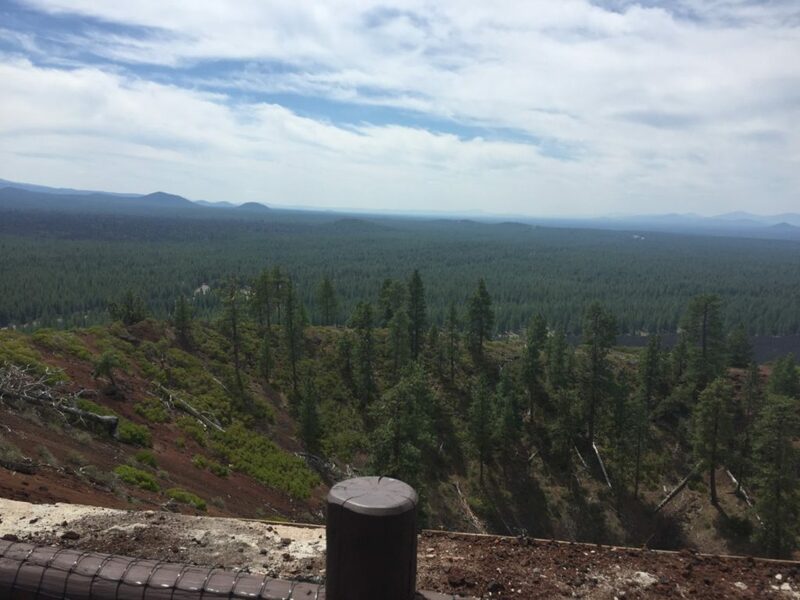 Pilot Butte is nearly 500 feet, and will give you views of Mount Bachelor, Mount Washington, the Three Sisters, Broken Top, and even Mount Hood on a really clear day. 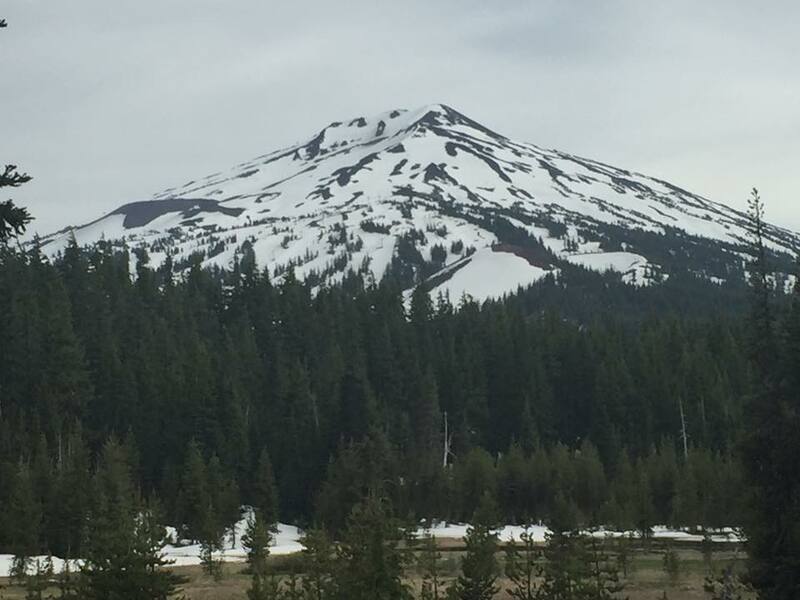 Mount Bachelor is a no-brainer in Bend, if you are a skier or snowboarder, or even just like to tube. Many years the ski resort is open until May, and offers slopes for beginners to expert. They also have a great tube run for those not ready to learn how to ski or snowboard, making Mt. Bachelor one of the most popular Bend, Oregon attractions. 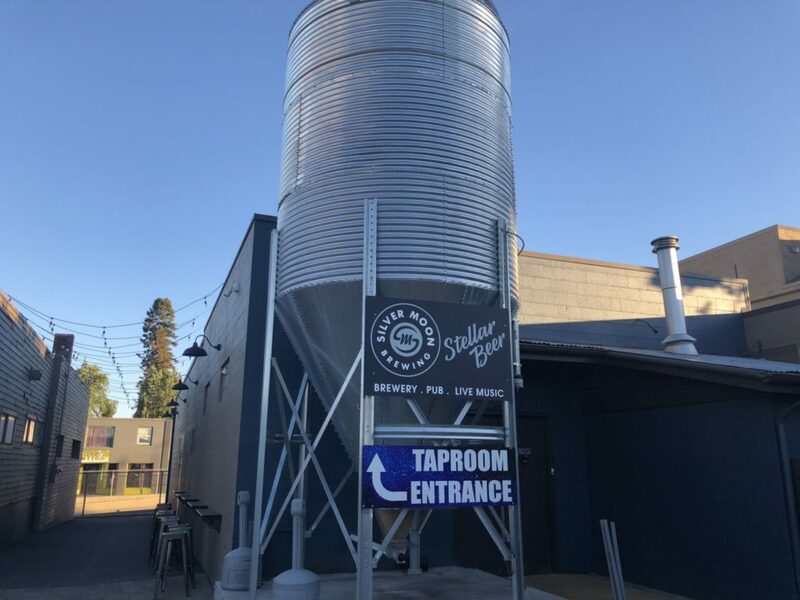 Bend has a growing beer scene, with hometown breweries like Deschutes, 10 Barrel, and Boneyard, and a growing number of start-ups in the city. 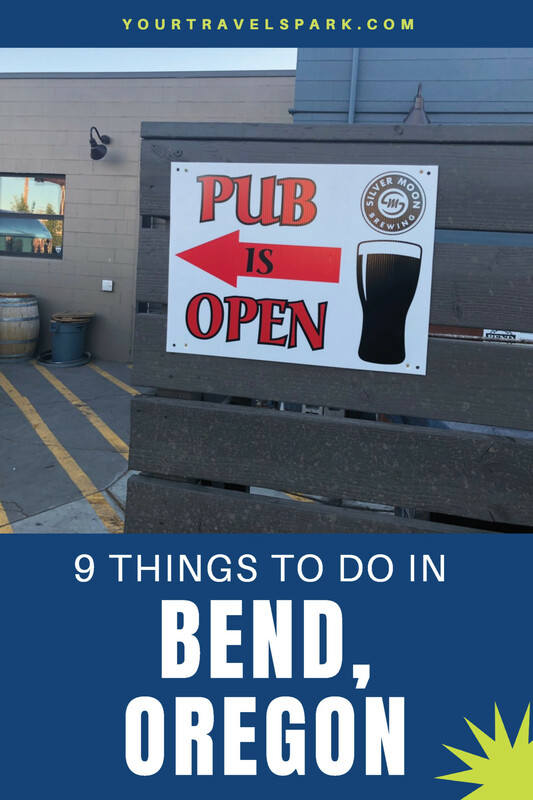 If you are downtown, or pretty much anywhere in Bend, you can find quality beer. 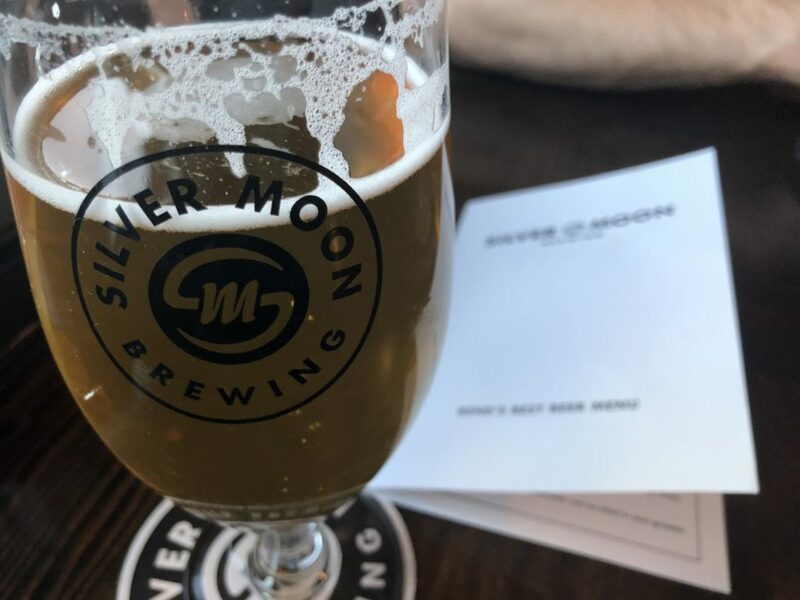 Feel free to also stop by any of the tasting rooms, where you can try new and diverse beers and ciders coming out of the area. 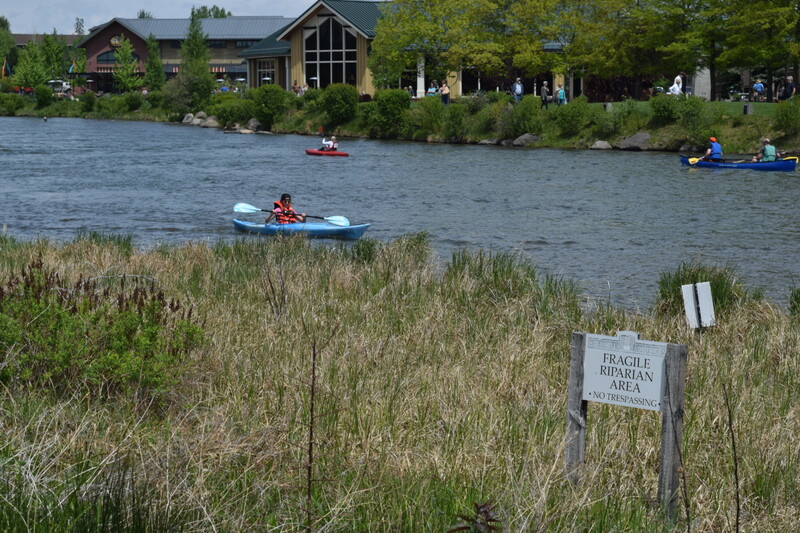 During the summer, you can rent (or buy) a tube or raft to float the Deschutes River through parts of Bend. In the city, the river is calm and fairly shallow, and it makes a nice summer day activity for both kids and adults. 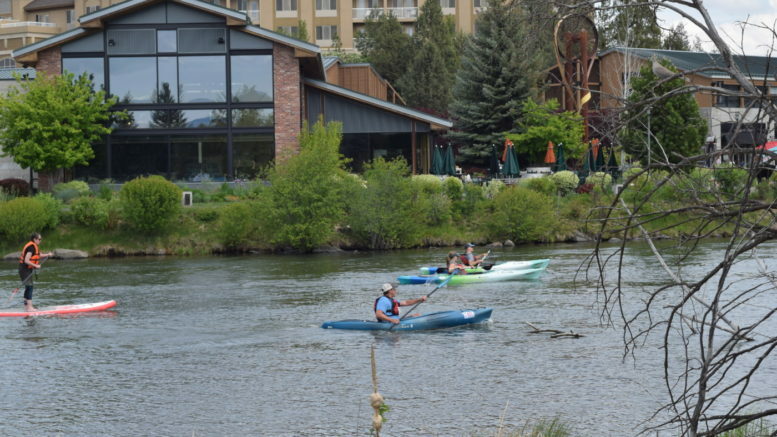 You can also rent a kayak, canoe, or paddleboard, and you will see people on all three on the river almost every day of the summer. 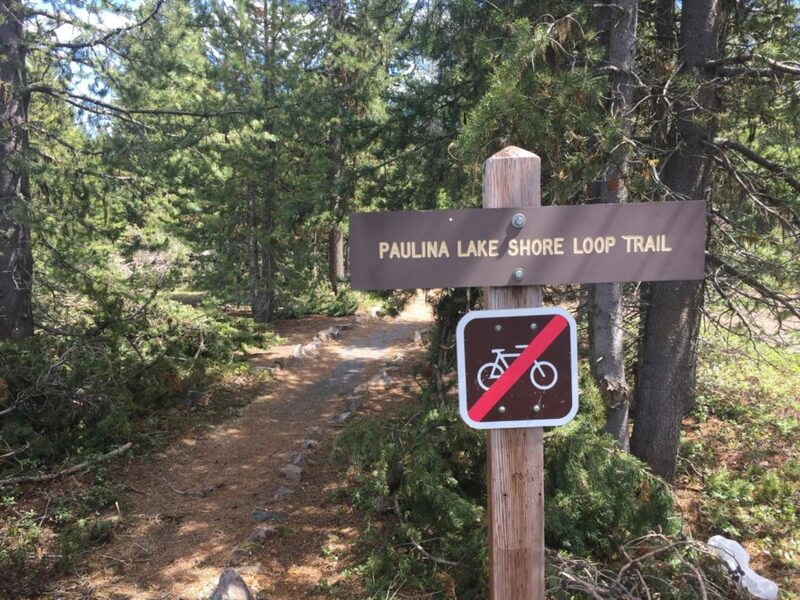 The Deschutes River Trail may not be the best trail in the Bend area, because it has a lot of competition — but it made the list because it is located right outside of downtown. A quick 3.1 mile run, bike ride, or walk is taken by many locals on their lunch breaks or after work. 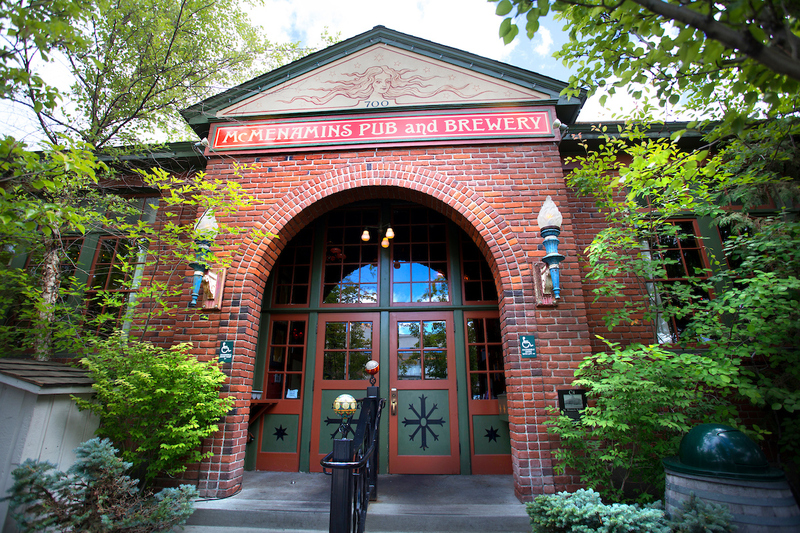 McMenamins is not a Bend company, but they have injected themselves into the local community. 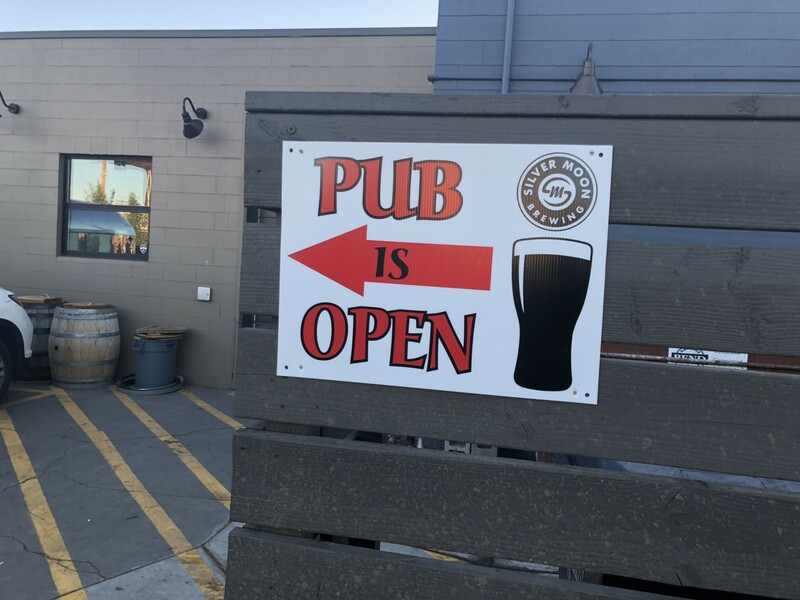 Although they have both amazing food and drinks, they are also more than that. 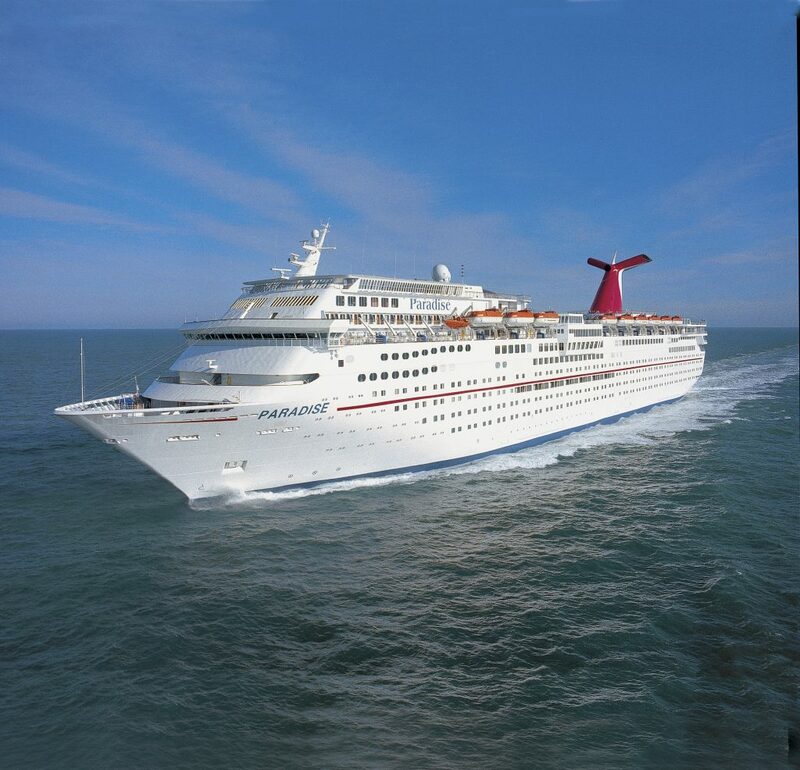 The restaurant also includes a great outdoor bar, a hotel, a cigar bar, a soaking pool, and a movie theater. 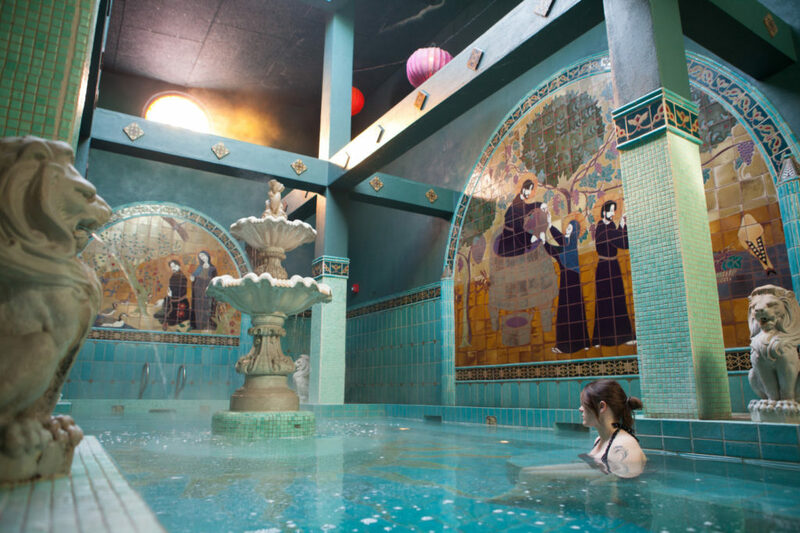 Ask locals to take you to the secret bar upstairs, or any of the secret rooms within its walls. 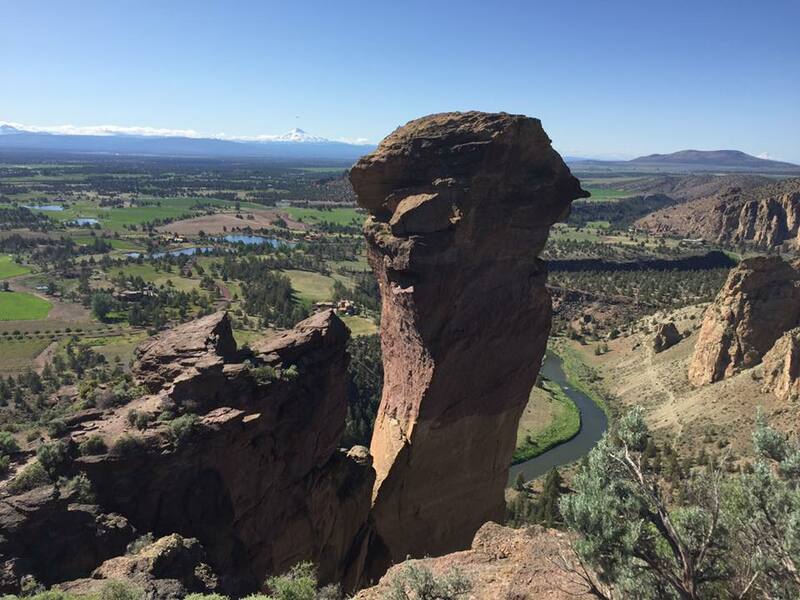 Smith Rock is another must see in Bend. 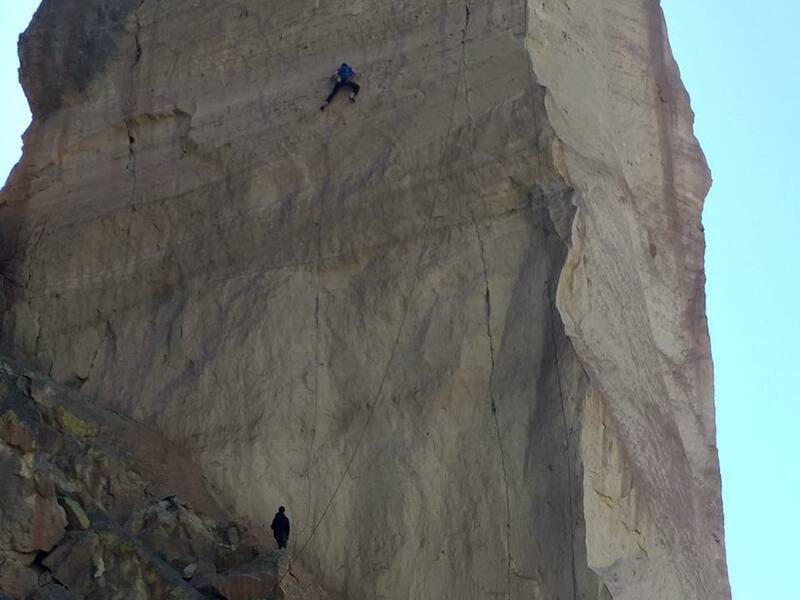 Located just outside of town in Terrebonne, Smith Rock has all levels of hiking and also offers some of the best rock climbing in the west. 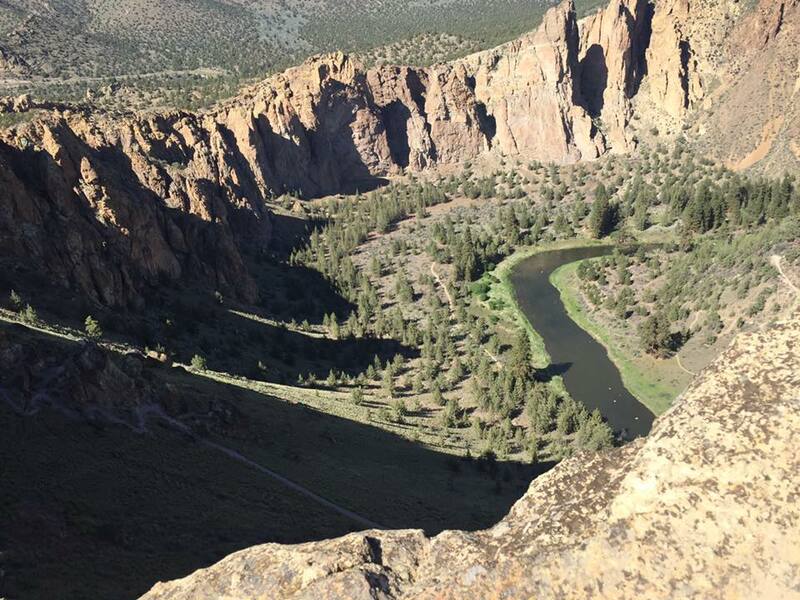 Try out Misery Trail if you are up for it, a trail that goes nearly straight up and down over Smith Rock. The views of the valley and Monkey Face are well worth the hike. 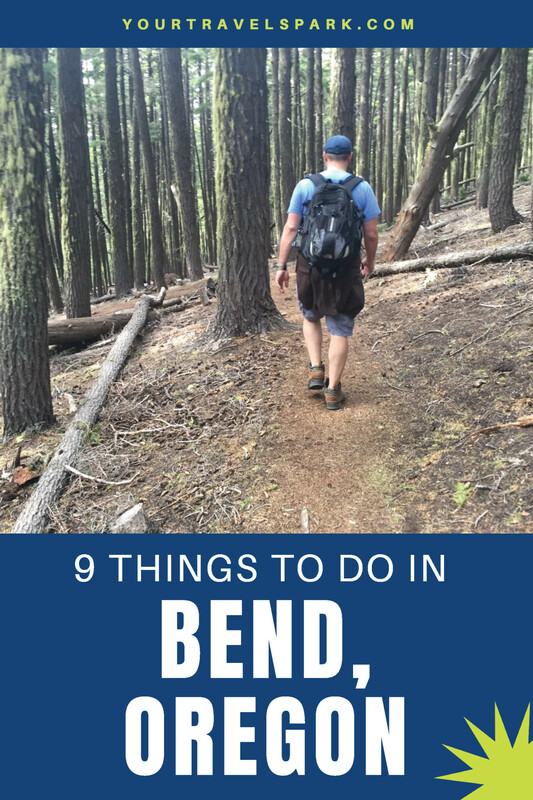 If you are not ready for that, there is a path walking around the entire area, making it one of the best things to do in Bend, Oregon. 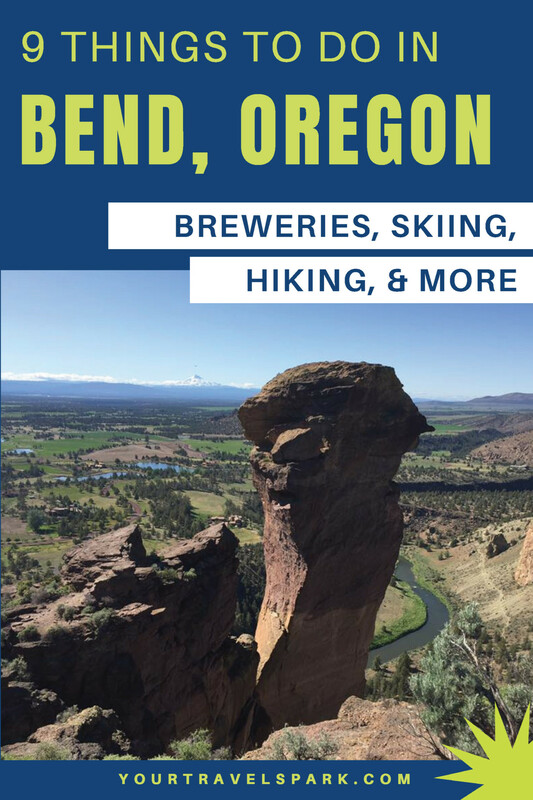 With hundreds of hiking trails located within minutes of Bend, it’s hard to choose which ones are best. But chances are, if you are up for a hike, you are within a stone’s throw of arguably one of the best trails in the world. 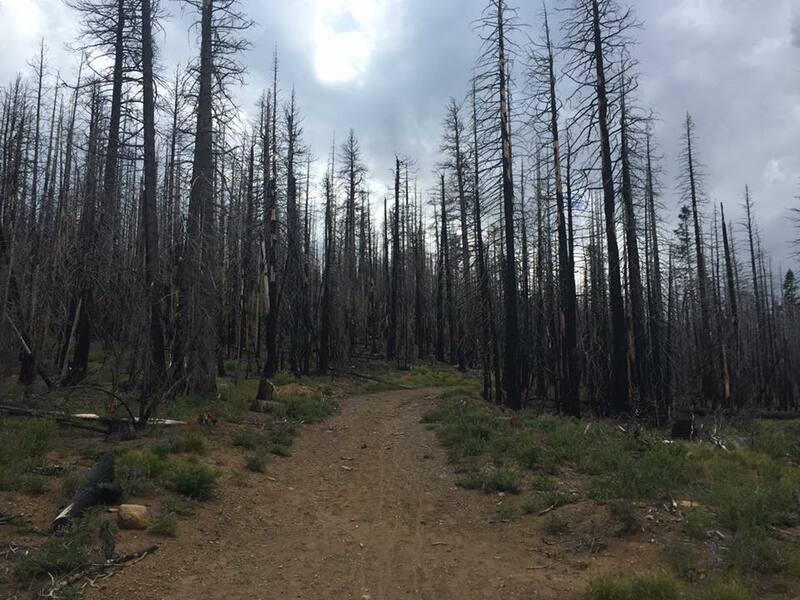 Whether you are an expert or someone who has never hiked before, there are short and long hikes in the area. 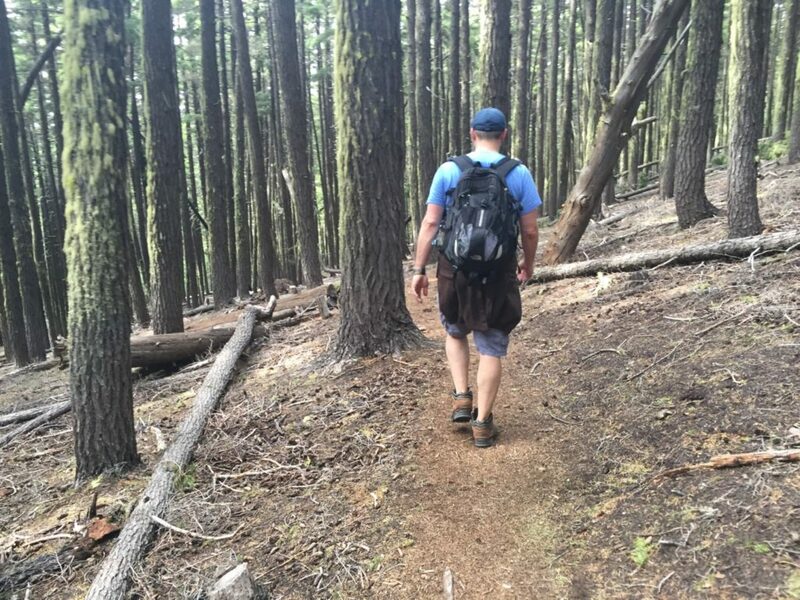 Get lost for the day in a national forest or walk a few miles within Bend city limits — Central Oregon has a hike for everyone. 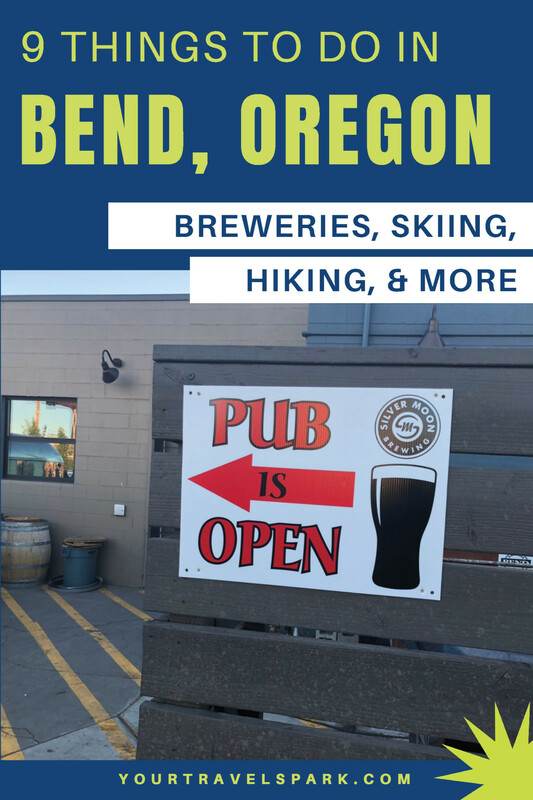 While most adventures in Bend seem to be outdoors, there is plenty of food, drink, and nightlife to make a visit well-worth it if you are not into that. The town will not remain a secret for much longer, so if you are going to visit, it may be worth visiting soon. 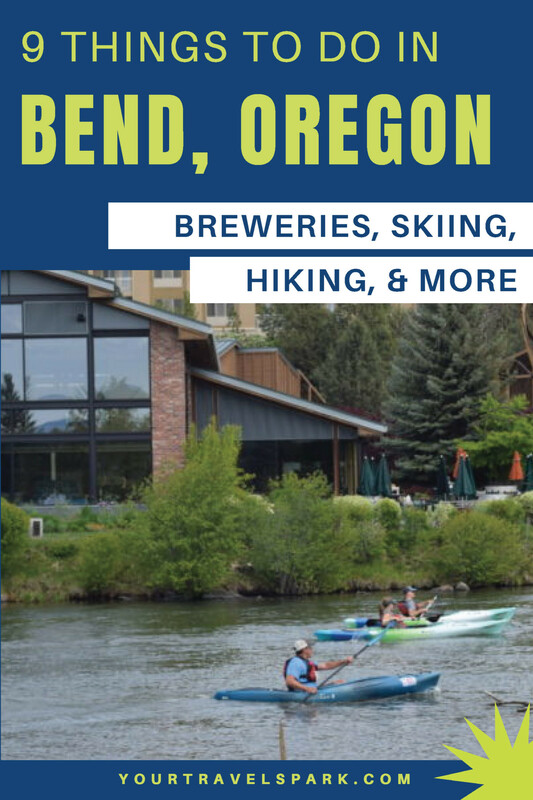 Next time you visit, tell us, what was your favorite thing about Bend?